The Alan Sillitoe Committee was one of fifty three organisations selected to produce content for The Space, an experimental multimedia platform funded by Arts Council England in collaboration with the BBC. We are the only literature organisation outside of London and stand proudly next to the London Review of Books and Faber and Faber. 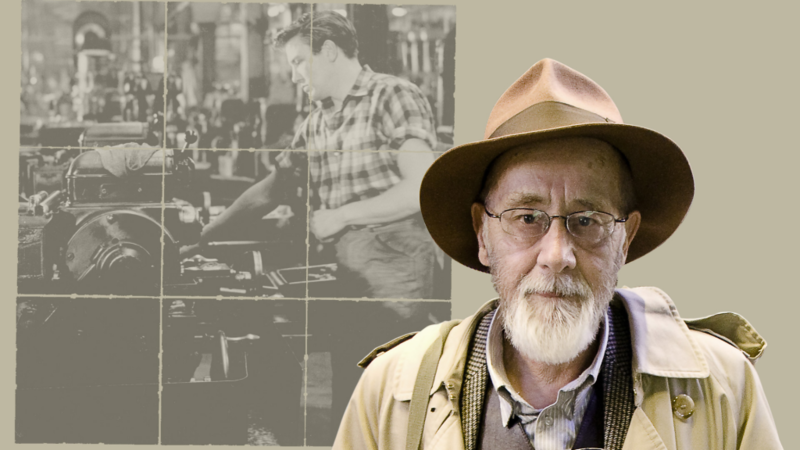 For our commission we have presented a virtual tour on The Space of Sillitoe’s seminal novel Saturday Night and Sunday Morning (1958) which follows the adventures of Arthur Seaton, a hard-grafting Raleigh factory worker out for a good time in 1950s Nottingham. 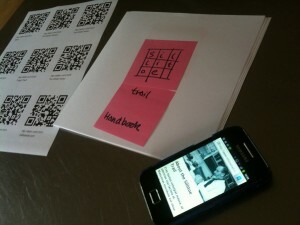 The Space was developed to see how cultural content could be distributed by Web, Mobile, Tablets and Connected TV. 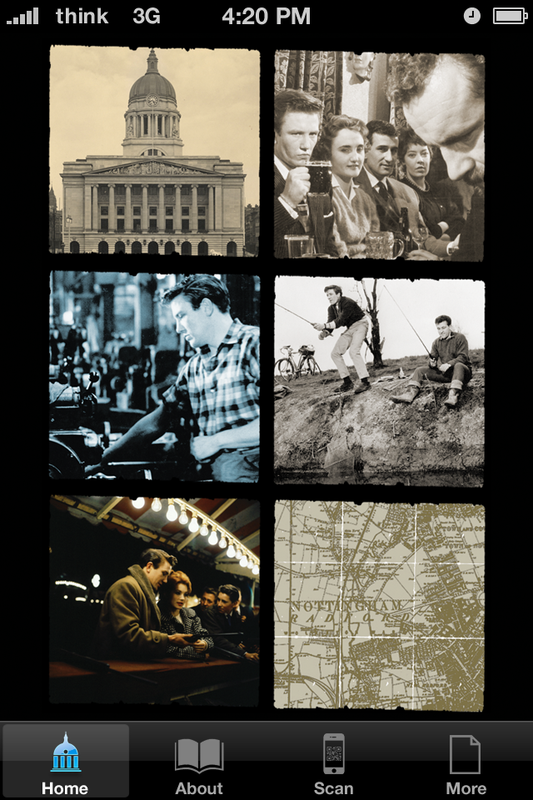 Now we are releasing the Sillitoe Trail in three forms: A limited edition book which will be available at Sillitoe Day on 27th October, a downloadable eBook, and as a Mobile Phone App. All three forms enable readers to follow a literary trail through Sillitoe’s Nottingham and have been assembled over a six month period, using content generated via social websites and written by our commissioned writers. 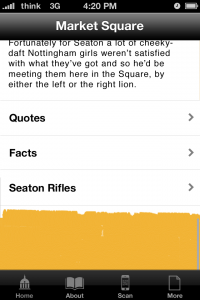 The Sillitoe Trail App is a literary trail for iPhone, designed for use on-location and exploring five key themes and spaces from the novel Saturday Night and Sunday Morning. A version is also being released to cater for non-Apple smartphone devices such as Google Android, Blackberry and Microsoft. However, it is the Apple iOS iPhone version which boasts the most advanced features. Each location on the Sillitoe Trail explores a distinct theme which asks how modern-day issues would be dealt with by Sillitoe’s chief protagonist Arthur Seaton, should such a thing be possible. 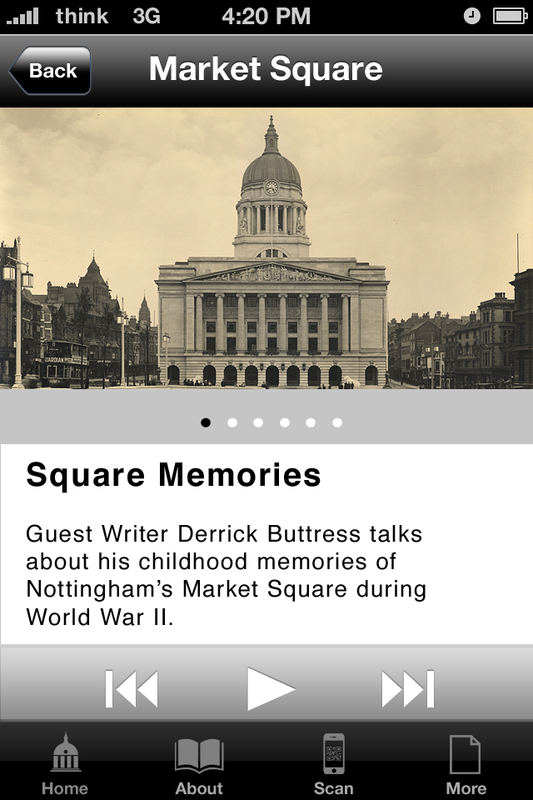 Our first location is Old Market Square where Derrick Buttress, a contemporary of Sillitoe, examines the decades leading up to 1958. Al Needham takes over and imagines where Arthur Seaton would be drinking in 2012 now that the White Horse pub has been turned into a curry house. Pete Davis records the testimonies of former Raleigh workers to see how accurate Sillitoe’s portrayal of factory life is and we wonder whether Arthur would now find himself at a digital lathe? James Walker goes fishing near the “turgid Trent” and wonders whether Arthur 2012 would be able to find solitude in the digital age. Our final stop is the Goose Fair where historian Ann Featherstone takes us back to the Victorian period to show it’s always been home to elaborate hoaxers, fighters and scoundrels. At each location are photographs, facts, audio, videos and text, offering users many ways through which to interpret Sillitoe’s novel. 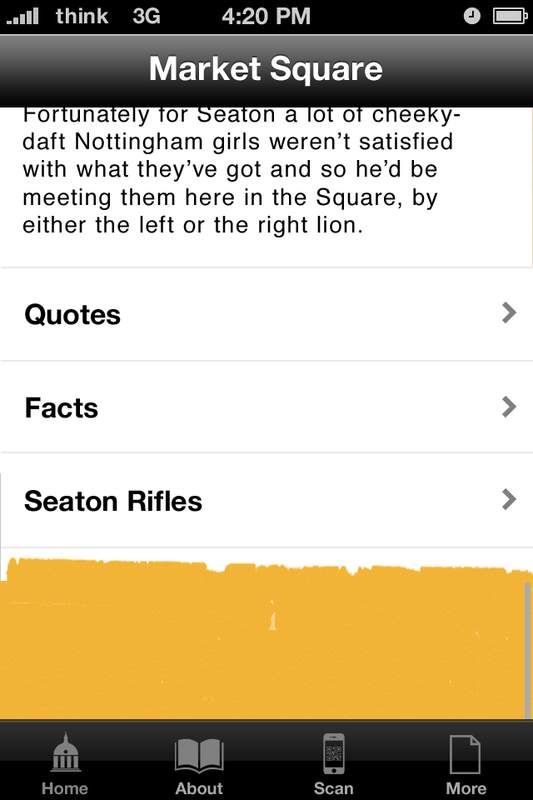 Arthur Seaton also interjects along the way in a slot entitled ‘Seaton Rifles’ although his adversaries are never far behind. By using a variety of different media, it is hoped that Alan Sillitoe’s writing can reach new audiences and rekindle interest in those already familiar with his work. In the few months of The Space we have seen an explosion of local talent submitting images, stories, poetry and music ranging from Jazz to Beatbox. 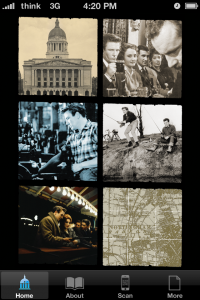 The Sillitoe Trail iPhone App brings to life many previously unseen photographs from picture and film libraries such as the BFI, British Council and Nottingham County Archives. The built-in picture gallery looks great on the iPhone 4’s high-resolution ‘Retina’ screen and has been especially designed to take full advantage of the very latest iPhone 5 with it’s 16:9 widescreen display. Portrait orientation provides access to a rich selection of pictures, text and audio, whilst landscape orientation reveals a full-width gallery with detailed zooming of HD images that can be viewed in each location to compare historic with present day imagery. The Sillitoe Trail iPhone App also has a built-in QR-code reader which triggers playback of audio directly from the Sillitoe Trail Handbook and other signage along the trail. Because media is pre-loaded, the App provides smooth playback even in areas where there is no mobile signal available. Features that do require WiFi or 3G connection relate to external websites, additional maps, trails, images and social media feeds; all designed to extend the experience with fresh content and submissions from the general public. Social feeds in particular are hoped to stimulate further debate on the themes of the trail and the App will encourage the creation of smaller walks or cycle routes through the city that could be used by local storytellers, individuals and organisations involved in cultural and destination tourism. We hope that the Sillitoe Trail project will continue to present be a lasting legacy and stimulate interest in the Alan Sillitoe Memorial Committee’s objective to establish a permanent recognition of his work. 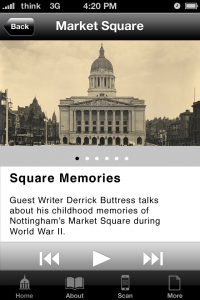 Alan Sillitoe loved maps and loved Nottingham too, so this location-based App seems a most fitting way to pay tribute to a career that put the city and it’s people on the literary landscape. You can also Pre-register for the App at www.sillitoetrail.com/register and we will notify you when the Sillitoe Trail App becomes available for free download in the App Store. This entry was posted in Alan Sillitoe, Hacked off - journalism issues and tagged Sillitoe Trail, The Space by James. Bookmark the permalink.